Stamp with Kathya: Happy 2013! Hello stampers! Hope 2013 is off to a great start for you! I can't believe it is already a new year. Today is also the first day of the new Stampin' Up! 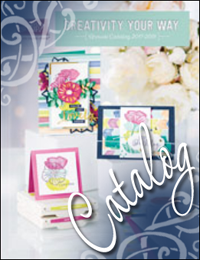 Spring Catalog! I can't wait to show you what I create with so many wonderful new items! 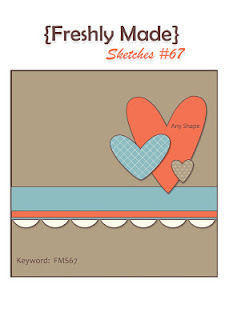 I was looking for inspiration to get me back into stamping and I came across the new sketch from Freshly Made Sketches. This was a great sketch for me as I used it to create nine cards for a Sale-A-Bration (SAB) swap with my group. Make sure to check out the creations here. SAB will start January 22, 2013 and there are so many wonderful items to earn for free with a $50 order! Oh, and did I tell you that Stampin' Up is celebrating its 25th Anniversary this year! Big party! So if you are interested in hosting a party or if you would like for me to provide a private party, let me know! So for my card, I used the new designer series paper from SAB called Sycamore Street. Love the colors in the pack. Sometimes some dsp sheets can have a very busy design and can be challenging when creating with it. I find that if I cut down the dsp into smaller strips or sections, it's not so overwhelming. Know what I mean? Anyhow, the other two new SAB products I used is the Pretty Petites stamp set, which is oh so cute and the coordinating punch, the petite curly label. You can only get these items with a qualifying order. I also started cleaning my craft room-again. My goal this year is to get my room in organized and in order. Organized in a way that works for me. Often times I will see photos of other crafters and their rooms and I get inspired and wish my room could look like theirs. So we'll see. I created a board on pinterest for craft rooms/home offices to gain some inspiration. For sure I will get getting rid of retired stamp sets, so be on the look out for that. One thing I started doing with my clear stamp sets, especially if it has coordinating framelits is to glue a magnet sheet on the inside of the case and store the framelits with the stamp set. Of course, the framelits already come in nice envelops, but this way it's easier to reach. What do you think? I hope this works. 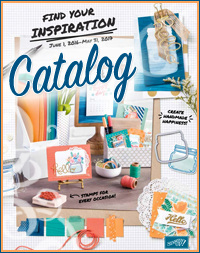 By the way, this new stamp set, All Dressed Up and the coordinating framelits, Dressed Up are available in the spring catalog. You can show directly from my online store! Well my friends, I better get going. Have more things to create so I can show you. Thanks so much for stopping by. I love the way you used the sketch, and especially love the Sycamore Street DSP! Thanks for sharing with us at Freshly Made Sketches! Cindy, thanks for having a great sketch! It jump started my creativity! Love your blog challenges! Love that DSP! What a pretty and colorful card! Thanks for joining us this week at Freshly Made Sketches! Thank you so much Linda! 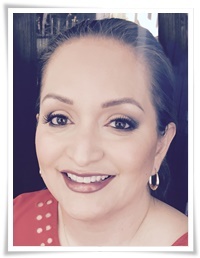 I've been having fun checking out your blog challenges! I love your card, and especially love the Sycamore Street DSP! Thanks for sharing with us at Freshly Made Sketches! Fabulous mix of colors! Thanks for playing with us at Freshly Made Sketches!